Stop drafts and cold spots immediately with blown-in fiberglass insulation by Owens Corning. Recognized as the leaders in insulation, Owens Corning manufactures a superior, energy-efficient insulation product using recycled materials whenever possible. Insulation Pros of Colorado is a licensed Owens Corning supplier, and we guarantee that we’ll beat the prices of any competitors in the area by 10 percent! We are able to guarantee low installation rates and quick delivery of materials, as we order and install huge volumes of their products. You can read more about blown-in insulation below, and you can get in touch with a member of our staff by calling 720-340-8733 . Thermal retention: Colorado residents are no strangers to the dynamic weather we experience throughout the year. From high temperatures in the summer to subzero temperatures in the winter, we see it all. We know that you don’t want to pay more for heating and cooling each month, so let us help you insulate the most problematic areas of your property with energy-efficient insulation. Fireproofing: A fire is every home and business owner’s worst nightmare. A fire caused by a loose wire sparking in the attic or inside a wall will not be easy to see until the fire has spread to other areas of the home. Quality insulation can increase your property’s resistance to fire in areas where you may not initially notice a blaze, providing you with even more peace of mind. Soundproofing: Is your property located in a noisy area? Even if you’re located in a relatively quiet area, poor insulation can allow sound to travel right through your walls. If you’re tired of hearing street traffic or your neighbors’ favorite television shows, then get in touch with Insulation Pros of Colorado to learn more about our soundproof insulation options. Pest protection: There’s almost nothing worse than discovering that termites, ants, or wildlife have found a way into your property. They can often pose a health risk to anyone inside, and they generally cause serious structural damage. 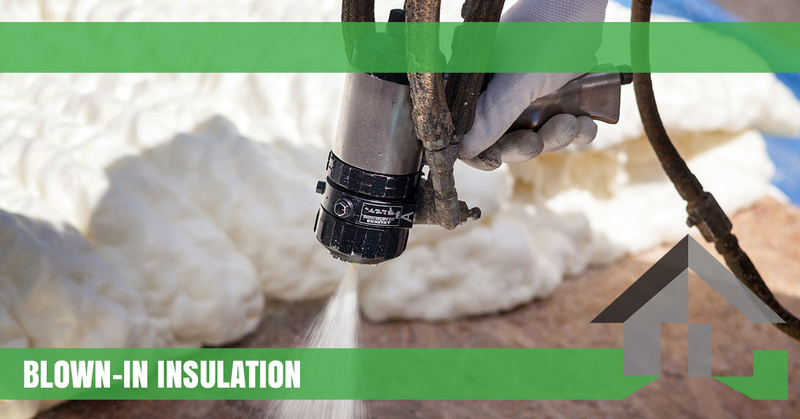 Blown-in insulation can provide your home with an extra layer of protection in places like the attic, basement, and foundation, where pests and animals are most likely to try to make their way inside. Rebates: New insulation will help you reduce your carbon footprint, and you might just qualify for rebates to help you further subsidize your investment. Speak with a member of Insulation Pros of Colorado to learn more about your eligibility. ROI: Even if you’re not planning on selling your property for several years, investing in new insulation is a great selling point. Potential buyers will love the fact that they won’t have to replace the installation for years to come, and you’ll reap the numerous benefits in the meantime. We would love to show you the numerous benefits of blown-in insulation. With time-saving insulation installation techniques, we can complete your project in as little as a day, allowing you to enjoy the comfort of your home the same night. Contact a member of Insulation Pros of Colorado today to get started with a free estimate! We look forward to speaking with you soon.